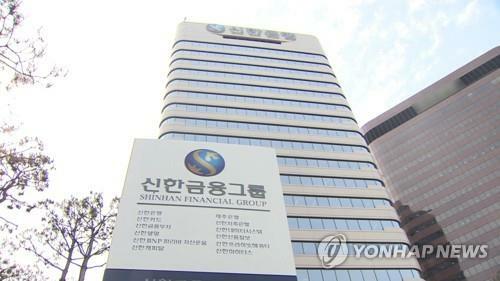 Shinhan Financial Group Inc. said on Mar. 21, 2019 it has decided to break up its partnership with Viva Republica, the operator of the popular mobile payment app Toss, and not bid for South Korea's third Internet-only bank business. The two entities announced last month they would place a bid to establish a new Internet-only bank in accordance with the government's plan aimed at reinvigorating the financial industry. "There have been differences with Toss over the business model and goal for the envisioned bank," an official of the financial group said. "After discussions, we've decided to drop out of the consortium." Toss wanted to use the so-called challenger bank model, which focuses on creating a small retail lender that mainly adopts a startup business culture, while Shinhan Bank was hoping to use a more general model by creating an open banking platform, according to the official. Currently, several business entities form the Toss-led consortium, including major local insurance company Hyundai Marine & Fire Insurance Co. and e-commerce solutions provider Cafe24. The Financial Supervisory Service is slated to accept applications next Tuesday and Wednesday, and grant the right in May to operate the country's third Internet-only bank. Last month, Hana Financial Group Inc. announced its partnership with top mobile carrier SK Telecom Co. and Kiwoom Securities Co. for the bid.